OpenDrop is open source, which means a github webpage hosts the software (written for Arduino), as well as various svg and pdf files that serve to layout the hardware. This is not a particularly approachable DIY project, the resources to build it are rather bare bones. Though a series of youtube videos do explain some subtleties in the platform. Despite it’s lack of user-friendly tutorials, it has served as the starting point for several microfluidic projects. 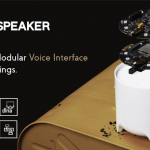 If you don’t want to build one, GaudiLabs sells the V3 device for just under $800. Get notified about posts! Follow us on twitter!